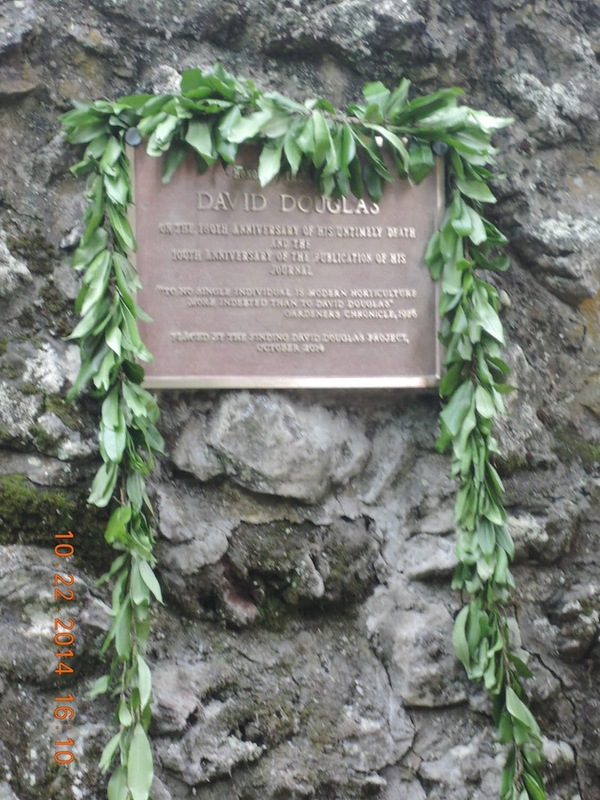 Despite an impending hurricane, torrential rains and an erupting volcano, the “Finding David Douglas 180” team—producer/director Lois Leonard of Portland, Oregon and co-producer Gordon Mason of Sheffield, England—successfully staged two screenings of the documentary film, Finding David Douglas (FDD), and installed and dedicated a bronze plaque commemorating Douglas at the site of his death. Syd House, of Forestry Commission Scotland, was unable to make the trip to Hawaii, but joined us virtually at each screening with a specially prepared greeting from Scone, Scotland. Months in the planning, the Hawaii project involved the help of many people and organizations. The team was hosted by two of Hawaii’s top museums, and screenings at both played to capacity audiences in Honolulu and Hilo. The first screening, on Saturday, October 18, was held at Mission Houses Museum in Honolulu. 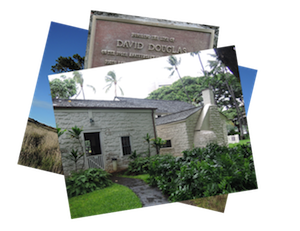 This historic site, a National Historic Landmark, includes two of the oldest houses in Hawaii. The buildings were in existence when David Douglas visited there in 1829, 1832, and 1834. The approaching hurricane caused the city to close the museum’s facilities, but the staff successfully scrambled to find an alternate venue. We greatly appreciate their efforts. Though the hurricane did not hit Oahu, the torrential rains did, just as the program was scheduled to begin! The team was joined in Honolulu by FDD script writer Susan Hauser. Susan was covering the story for Hawaiian Airlines magazine, Hana Hou!. Read the full text of Susan's article. Sunday, October 19, the team flew to Hilo on the Big Island. 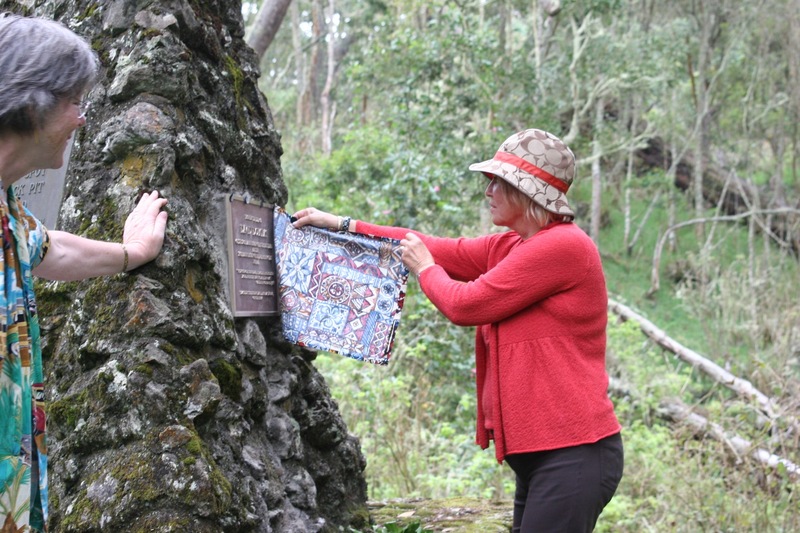 Producer Leonard of Oregon Cultural Heritage Commission, with the technical expertise of her husband, Douglas Magedanz, curator of the Architectural Heritage Center, designed and commissioned a bronze plaque installed Monday, October 20, on the memorial cairn at Kaluakauka, for which the Hawaii State Division of Forestry issued a permit. The 12” x 16”, 24-pound plaque was manufactured at a foundry in Portland, Oregon, and hand carried to the Islands. 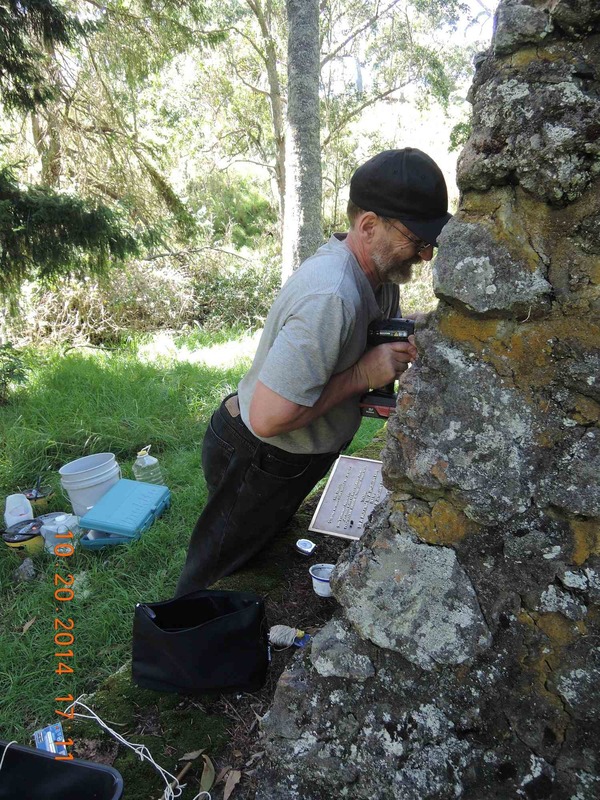 All necessary tools, cordless drills with fully-charged battery packs, water and mortar had to be brought to the remote site, 17 miles up a rough road on the windward side of Mauna Kea. Honolulu filmmaker Jeff DePonte photographed the installation for the Hana Hou! article. More than 90 people attended the film screening at Lyman House Memorial Museum Tuesday evening. The Lyman Mission house, dating to the late 1830s, is listed on the State and National Registers of Historic Places. It was the home of missionaries David and Sarah Lyman, who arrived in Hilo in 1832 and hosted David Douglas in January 1834. The Lymans were expecting Douglas again in July. Sarah Lyman’s journal records his visit and his death. The Lyman Museum facilitated many aspects of the DD180 project, including getting the team back to Kaluakauka for the dedication. The newly installed plaque, commemorating the 180th anniversary of Douglas’s death and the 100th anniversary of the publication of his journal, was dedicated Wednesday, October 22. 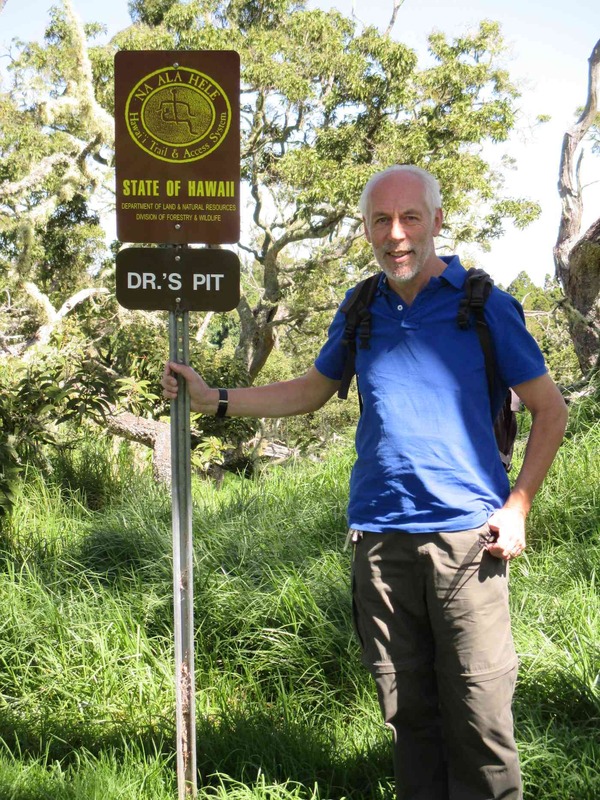 A small group journeyed to the Doctor’s Pit for the ceremony. To the accompaniment of a recorded bag pipe lament, the plaque was unveiled by Lucy Douglas, of Yakima, Washington, the great-great-great-grand niece of David Douglas.